I hate to be the party pooper but I feel there is a need to point out that the possession, transportation, processing and use of marijuana is still illegal. It is not legal in Alaska, nor Colorado, nor Washington, nor Oregon. It’s not legal in your house, nor in a car, or on a train, or in a plane. No Charlo Green I am; it’s not legal to grow pot in this here land. There is this thing called the Controlled Substances Act. You can find it in Title 21, Section 800 or so of the U.S. Code. Section 812 lists marihuana (with an h) as a schedule I substance. 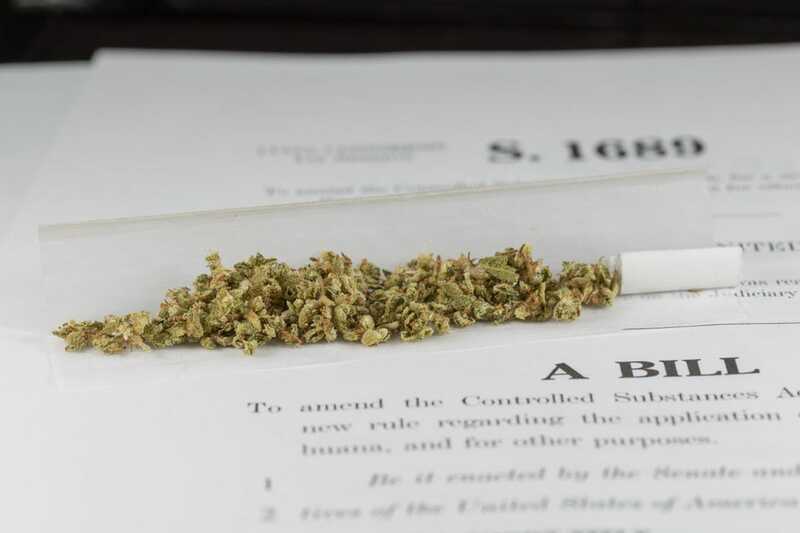 The rest of the sections talk about how the federal government can punish (or, cough, deter) you from doing things with marihuana and other substances. By the way, the Controlled Substances Act was passed by Congress. Remember that high-school U.S. government class you kept falling asleep in? Quick refresher: The U.S. Constitution says if Congress passes a law, it trumps any state law. What about my right to use marijuana? Didn’t Alaska legalize it? Can’t I have 4 ounces in my home after that Ptarmigan or Raven decision? No. Uncle Sam said no, and he couldn’t care less what Colorado’s constitution reads or what the Supreme Court of Alaska said. Ravin was a decision regarding the right to "privacy" provided by the Alaska Constitution. The recent ballot initiative was a voter initiative that changed Alaska state law. Neither gave anyone a legal right to marijuana. A state cannot grant a legal right to do something that the federal government has declared illegal. Just ask Angel Raich and Dian Monson of California; they thought they had a medical right under California law. The SCOTUS said no: Gonzales v. Raich, 545 U.S. 1, 7 (2005). What about Ballot Measure 2 in Alaska, and the Colorado amendment, and Washington’s and Oregon’s laws? All that these states have done is decide that they will no longer enforce criminal penalties for various acts involving marijuana. So once again, marijuana is not legal in Alaska; it’s just not criminal under Alaska law, and won’t be punished by law enforcement or courts of Alaska (within the limits set by Ballot Measure 2). OK, semantics, right? Except these are important semantics that the general public doesn’t quite understand. Semantics that legislators should be wary of when they enact legislation, lest they have their laws pre-empted. Semantics that public administrators should ensure to get correct to properly inform the public. Semantics that, if used properly in and by the media, could help further a national debate that we should be having about drug policies in the United States. No matter how many times Sam I Am, or Charlene Egbe, or Charlo Greene tell you it’s legal now in Alaska, it isn’t. It’s not legal recreationally and it’s not legal medically. A doctor technically can’t prescribe pot (although they can “recommend” it under their First Amendment right to free speech — again, important semantics for policymakers and interested parties). In a way, I guess that’s a good thing for people like Ms. Egbe; they can go on treating “their patients” and not fear being prosecuted for the unauthorized practice of medicine (and yes, I ran her name through the Professional License search on the Alaska Department of Commerce’s website. She is not a doctor, or a pharmacist, or a nurse, or a lawyer (different search website)). But they still need to watch out for Uncle Sam. It’s not legal to sell it, and you face stiff penalties for doing so under federal laws. Oh, you think it’s just pot, no big deal, the feds won’t bust me for it and if they do, how bad could it be? Ask Weldon Angelos when he gets out of the Mendota Federal Correctional Institute in 2051 how serious $350 worth of pot can get. OK, so before you get your pitchforks and torches and string me up in tar and feathers for blasphemy against the almighty Matanuska Thunder #@! *, I need to clarify the point of my rant. I truly believe our nation, not just our state, needs to rethink our policies on drugs, crime and punishment. As a society, we have a knee-jerk reaction to throw people in jail thinking it will solve everything, which it hasn’t. Reform with our current Congress isn’t likely to happen anytime soon, so reform at the state level is the next best thing — a thing that can help begin national change. But what I would hate to see is more good people imprisoned under the current severe federal drug penalties because of mistaken beliefs of their “right” to use marijuana. I would also hate to see the national debate be ignored by complacent individuals with the misguided perception that “it’s legal in my state so who cares what the feds think.” So please, when people tell you how it’s legal to smoke pot in Alaska, or Colorado, or anywhere else, remind them of what they missed when they slept through that high school government class, and tell them more change is still needed. Kevin Coe lives in Anchorage. The views expressed here are the writer’s own and are not necessarily endorsed by Alaska Dispatch News, which welcomes a broad range of viewpoints. To submit a piece for consideration, email commentary(at)alaskadispatch.com. http://www.theguardian.com/us-news/2015/feb/24/chicago-police-detain-americans-black-site How do marijuana advocates rate Eric Holder’s legacy?